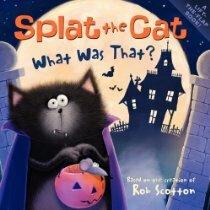 Filed Under: Book Lists, Book Reviews, Childrens Books Tagged With: Halloween children's book, Splat the Cat, Splat The Cat: What Was That? This sounds like SUCH a cute book. My son, the cat lover, would adore it.